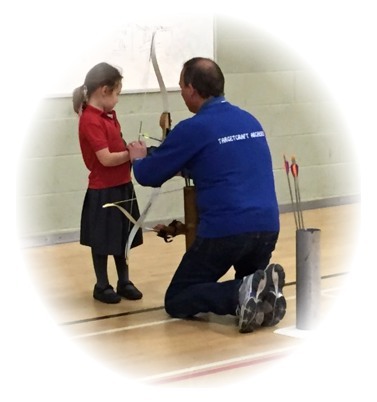 Targetcraft Archers run the Archery GB Progress Award Scheme which is designed to provide beginners and younger members with awards for developing their archery skills. - There are 5 Awards with the background colours being White, Black, Blue, Red and Gold. - Qualification is by score only and may be Indoors or Outdoors. 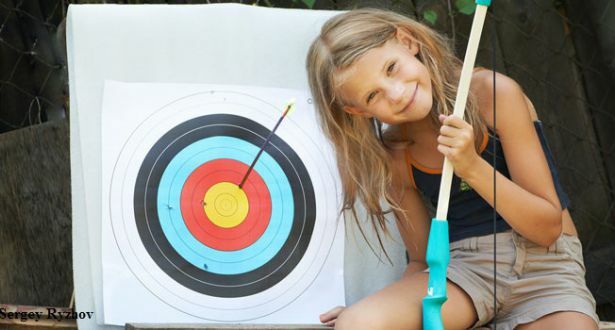 - The archer must shoot 36 arrows in ends of 6. This may be shot in one session of 36 arrows or 2 of 18 each. - A maximum of 12 arrows warm-up is allowed per session. 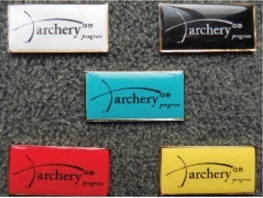 - A badge colour may only be claimed once. However missed colours may be claimed when a junior moves up an age group. March 2019 !!! Congratulations to Rebecca on achieving her blue progress award !! !